Boeing's new flying car demonstrator. 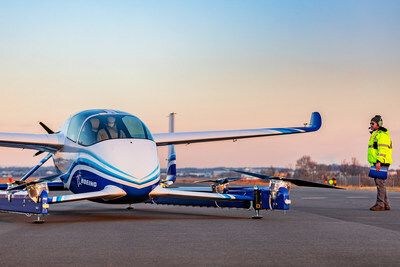 Boeing bought Manassas-based Aurora Flight Sciences last year to speed development of a fleet of autonomous air vehicles. With Aurora, Boeing is also working on Uber Technologies Inc’s UberAIR service for flights that are planned to be available for order via smartphones around 2023.